The purpose of reading this essay and to host an interweaving discussion, is neither to produce a new or better definition of the essential nature of images, nor to examine any specific pictures or works of art. The procedure instead will be to examine some of the ways we use the concept of image, expanding out from the 'graphic' image into the fields of literature, psychology, theology and philosophy. 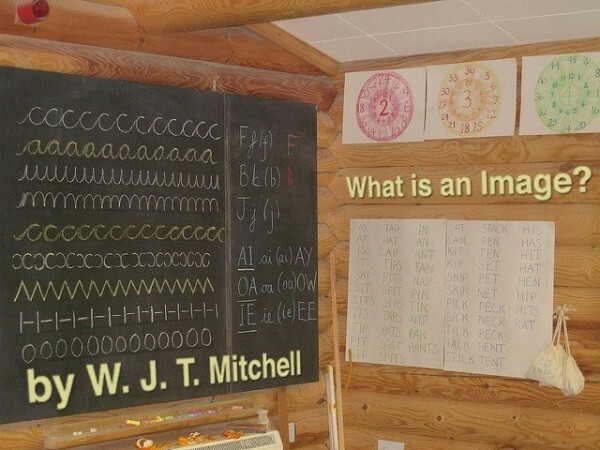 In Mitchell's 1984 essay 'What is an Image? ', he proposes a quasi-scientific analysis of images beginning with a genealogy of the variety of things that go by this name; pictures, statues, optical illusions, maps, diagrams, dreams, hallucinations, spectacles, projections, poems, patterns, memories and even ideas. Consciousness itself, he argues, can be understood as an activity of pictorial production, governed by mechanisms such as lenses, receptive surfaces, and agencies for printing, impressing or leaving traces on these surfaces. The aim of this discussion is to open for inquiry the ways our understanding of imagery grounds itself in a history of understanding what being human is.